Bob Brenner opened Music Maker Studios in 1979, and has built it into the successful music school that it is today. 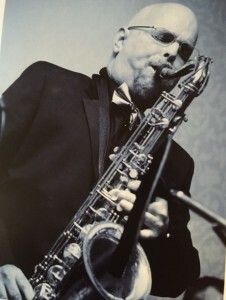 Bob teaches saxophone, flute, and clarinet lessons at Music Makers, and also teaches adult jazz ensemble classes. For more information about participating in jazz ensembles, click on the “Ensemble Classes” button from the “Private Music Lessons” drop down menu above. Bob is also a proficient piano, drumset, and bass player and often accompanies the ensembles on these instruments if an ensemble member is unable to attend. For an example of his playing click on one the two songs below recorded in the summer of 2007 at Music Makers. Bob played on all instruments in the recording.